When you think of golf in the USA there are a handful of locations that are simply synonymous with world class golf. Pebble Beach leads the way for California and it’s not alone, with a supporting cast including the likes of Spyglass Hill, Torrey Pines and Cypress Point. South Carolina is home to the world famous Kiawah Island. The flagship course there is the mighty Ocean Course but there are countless other world class tests awaiting too. And then there are the desert courses of Arizona, leads by TPC Scottsdale which we get to see each year on the PGA Tour. I’d be more inclined to think of Forest Gump when asked about the Cotton State but what if I were to tell you that, from a golfer’s perspective, Alabama is an absolute gold mine? You’ll of course all be aware of the name Robert Trent Jones. As one of golf’s most respected architects, he’s laid down some of the world’s finest courses including the likes of Spyglass Hill, Valderrama in Spain and Hazeltine, host of the impending 2016 Ryder Cup. 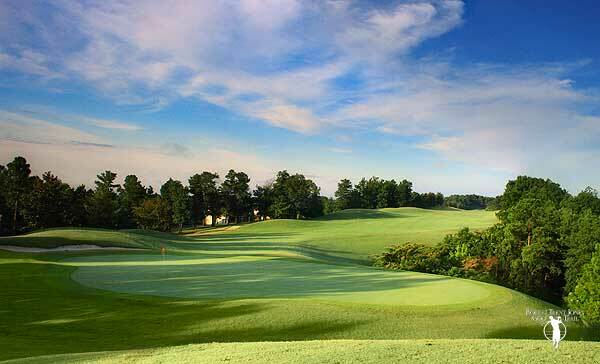 He’s also sprinkled his magic dust all over Alabama, forming the amazing Robert Trent Jones Golf Trail. 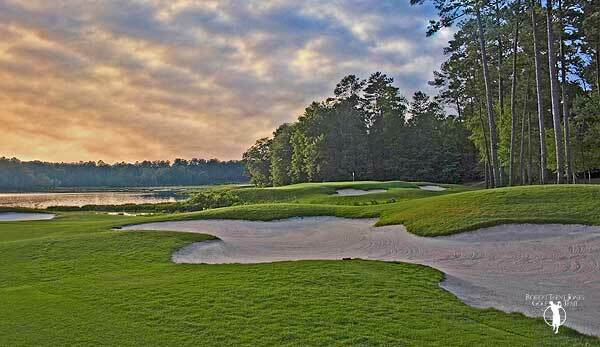 Play any combo of the Canyon, Loblolly, Sherling & Short Course. While the Sherling / Canyon Course combination is regarded as the best 18 hole layout at Cambrian Ridge, a popular opinion of golfers in the know is that the resort as a whole is home to some of the most challenging and picturesque golf on The Trail. 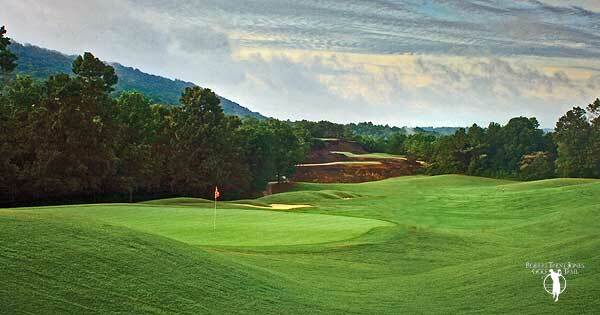 Sherling / Canyon combo was named 3rd Best New Course by Golf Digest upon opening! Choose from a round on The Judge, Legislator and Senator Courses…or go Alabama crazy and play all 3! Got what it takes to tackle a 711 yard hole? Find out for yourself on the 11th hole on the Judge Course which measures exactly that from the championship markers! Golf Magazine described the Judge Course as one of just 10 public courses in America worthy of hosting the US Open! Set on the shores of Lake Saugahatchee, have a crack at the Lake or the Links, or enjoy 18 amazing par 3s on the beautiful Short Course. 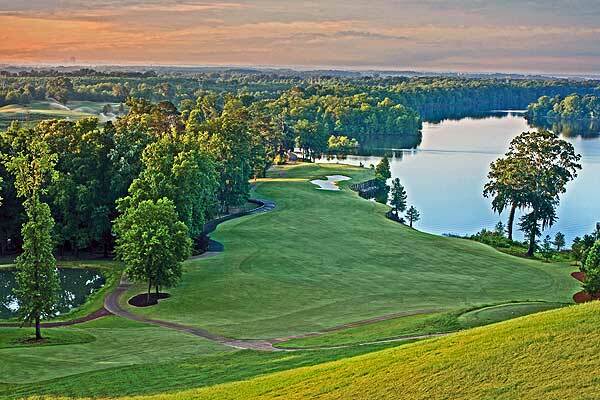 Perched on the shores of the breathtaking 600-acre Lake Saugahatchee, with 32 of the 54 holes coming within a whisker of the water’s edge, Grand National, according to Trent Jones himself, was reportedly the single greatest site for a golf complex he had ever seen. 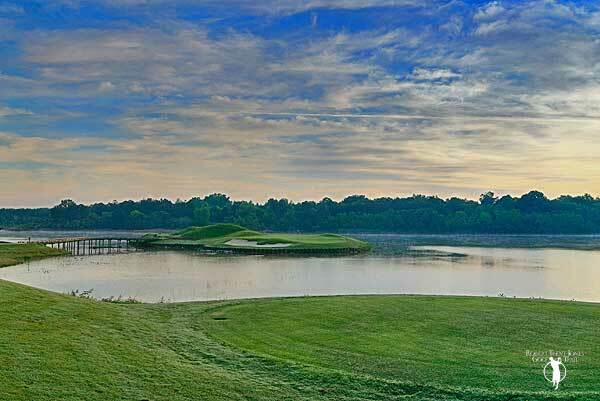 Grand National plays host to the PGA Tour’s Barbasol Championship and both the Links and Lake courses were named in the top 10 of Golf Digest’s list of “America’s Top 50 Affordable Courses”. Home to the Highlands, River and Short Course, Hampton Cove boasts three very different tests of golf which will keep visiting golfers entertained from start to finish. The Highlands Course is perhaps the pick of the bunch following a renovation project that was carried out in 2008, restoring the lustre to this fantastic layout. The River Course is the only Robert Trent Jones layout without a single bunker on the entire course…good news for those of you who struggle from the sand! It does feature water on 16 of the 18 holes though so watch out! The Trail may be the biggest bargain in the country. The Trail is some of the best public golf on Earth. Home to 2 18 hole loops, the Ridge and Valley Courses, as well as the charming 18 hole par 3 Short Course where almost every hole is played from an elevated tee, adding excitement to the atmosphere already created by the surrounding mountains. The Ridge Course at Oxmoor Valley features some elevation changes of over 150 feet in a single hole! One of the few venues on the Robert Trent Jones Golf Trail featuring just a single course, Ross Bridge pours all its efforts into creating one of The Trail’s best tests and is a must for anyone playing golf in this part of the world. Measuring over 8,000 yards from the tips, Ross Bridge is one of the world’s longest golf courses. Fear not though, a total of 5 sets of tees makes the course playable for all manner of golfers. Home to 4 nine hole loops, aptly named the Heartbreaker, Mindbreaker and Backbreaker, as well as another superb Short Course comprised of a superb collection of par 3s, Silver Lakes is an incredible place to tee it up on an Alabama Golf Holiday. All 36 greens at Silver Lakes are constructed to the highest of standards using Champion Ultra Dwarf grass strains which produce arguably the best putting surfaces on on The Trail. The Fighting Joe Course at The Shoals was the 1st on The Trail to break the 8,000 yard barrier from the championship tees, and the Schoolmaster Course joined the show in 2005. Lying between the Wheeler and Wilson dams on the Tennessee River, these courses were named after two historical figures, General Joseph “Fighting Joe” Wheeler and President Woodrow Wilson Wheeler and offer two distinct challenges. Travel + Leisure Golf named the Fighting Joe Course one of the top new courses in America in 2004.